Few studies compared management and outcomes of obstructing colonic cancer (OCC), according to the tumor site. Our aim was to compare patient and tumor characteristics, postoperative and pathological results, and oncological outcomes after emergency management of right-sided vs. left-sided OCC. 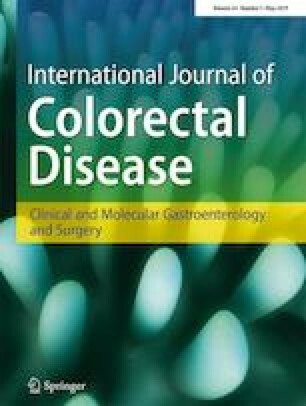 A national cohort study including all consecutive patients managed for OCC from 2000 to 2015 in French surgical centers members of the French National Surgical Association (AFC). During the study period, 2325 patients with OCC were divided in right-sided (n = 819, 35%) and left-sided (n = 1506, 65%) locations. Patients with right-sided OCC were older, more frequently females, and associated with comorbidities, history of cancer, or previous laparotomy. Surgical management was more frequently performed for right-sided than left-sided OCC (99 vs. 96%, p < 0.0001). Tumor resection was more frequently performed in right-sided OCC (95 vs. 90%, p < 0.0001). Among the resected patients, primary anastomosis was more frequently performed in case of right-sided OCC (86 vs. 62%, p < 0.0001). Definitive stoma rate was lower in right-sided location (17 vs. 46%, p < 0.0001). There was no significant difference between locations in terms of cumulative morbidity, anastomotic leak, unplanned reoperation, and mortality. Five-year overall and disease-free survival rates were significantly lower in right-sided OCC (43 and 36%) than in left-sided OCC (53 and 46%, p < 0.0001 and p = 0.001, respectively). Although patients with right-sided OCC are frailer than left-sided OCC, tumor resection and anastomosis are more frequently performed, without difference in surgical results. However, right-sided OCC is associated with worse prognosis than distal location. Collaborator list of the AFC working group: Mehdi Ouaissi, Charles Sabbagh, Jean-Marc Regimbeau, Tatiana Codjia, Marie Dazza, Guillaume Gagnat, Servane Hamel, Laure Mallet, Paul Martre, Guillaume Philouze, Edouard Roussel, Pauline Tortajada, Anne Stéphanie Dumaine, Bruno Heyd, Brice Paquette, Nicolas De Angelis, Franscesco Brunetti, Francesco Esposito, Vincenzo Lizzi, Nicolas Michot, Quentin Denost, Christophe Tresallet, Oriana Tetard, Pauline Rivier, Elie Fayssal, Maxime Collard, David Moszkowicz, Frederique Peschaud, Jean Charles Etienne, Ludovic loge, Thierry Bege, Hélène Corte, Elsa D’Annunzio, Marine Humeau, Julien Issard, Nicolas Munoz, Julio Abba, Yaqoub Jafar, Laurence Lacaze, Pierre-Yves Sage, Lilija Susoko, Bertrand Trilling, Catherine Arvieux, François Mauvais, Béatrice Ulloa-Severino, Sophie Pitel, Arthus Vauchaussade de Chaumont, Bogdan Badic, Benjamin Blanc, Marine Bert, Paul Rat, Pablo Ortega-Deballon, Amélie Chau, Clémentine Dejeante, Guillaume Piessen, Emilie Grégoire, Abdallah Alfarai, Jérémie H Lefèvre, Magali Cabau, Anaelle David, Deborah Kadoche, Fanny Dufour, Géraldine Goin, Yvain Goudard, Ghislain Pauleau, Philippe Sockeel, Bruno De la Villeon, Karine Pautrat, Clarisse Eveno, Antoine Brouquet, Anne Cécile Couchard, Gregoire Balbo, Jean Yves Mabrut, Justine Bellinger, Martin Bertrand, Aurélie Aumont, Emilie Duchalais, Anne-Sophie Messière Adrien Tranchart, Jean-Baptiste Cazauran, Virginie Pichot-Delahaye, Vincent Dubuisson, Leon Maggiori, Bilem Djawad Boumediene, David Fuks, Xavier Kahn, Eve Huart, Jean-Marc Catheline, Grégory Lailler, Oussama Baraket, Patrick Baque, Jean Marie Diaz de Cerio, Philippe Mariol Bernard Maes, Philippe Fernoux, Philippe Guillem, Eric Chatelain, Charlotte de Saint Roman, Kévin Fixot.